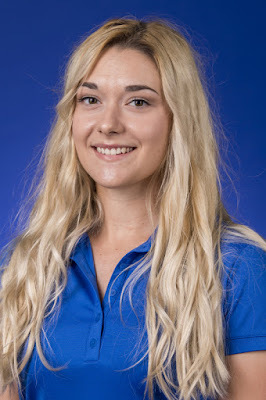 ORLANDO, Florida – Duke University junior Ana Belac has been selected to the Arnold Palmer Cup International squad that will be compete at The Alotian Club June 7-9, 2019 in Roland, Arkansas. The annual Ryder Cup-style competition will pit the United States against Belac (pictured right) and the International squad. It marks the second straight summer a Blue Devil has competed in the event as sophomore Jaravee Boonchant represented the International squad in last year’s competition, which took place at the Evian Resort Golf Club. Along with Belac on the International team will be Frida Kinhult (Florida State), Patty Tavatanakit (UCLA), Hira Naveed (Pepperdine), Julie McCarthy (Auburn), Albane Valenzuela (Stanford), Jiwon Jeon (Alabama), Lois Kaye Go (South Carolina), Leonie Harm (Houston) and Agathe Laisne (Texas). McCarthy, pictured left, is a native of Swords, Ireland. 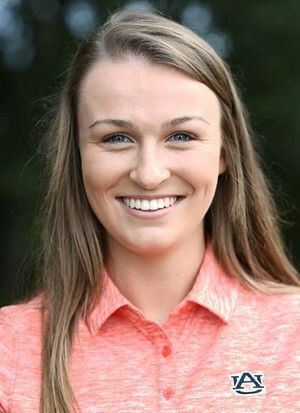 Belac, a native of Portoroz, Slovenia, was a 2018 WGCA and Golfweek Honorable Mention All-America selection, after collecting a 72.38 stroke average as a sophomore. She achieved her first collegiate victory at the Landfall Tradition with rounds of 66 and 69. So far in 2018-19, Belac has a 73.00 stroke average with two top five and three top 10 finishes. Representing the United States will be Mariel Galdiano (UCLA), Dylan Kim (Arkansas), Emilia Migliaccio (Wake Forest), Kaitlyn Papp (Texas), Jennifer Chang (USC), Malia Nam (USC), Haylee Harford (Furman), Abbey Carlson (Vanderbilt), Stephanie Lau (Northwestern) and Chandler Phillips (Texas A and M). Duke University men’s golfer Alex Smalley has also been selected and will represent the United States. For more information, visit arnoldpalmercup.com.